Many bicyclists fear they would be the victim of a hit-and-run bicycle accident and would find themselves not only the victim of the crash, but also without any way to be compensated for injuries that were not their fault. 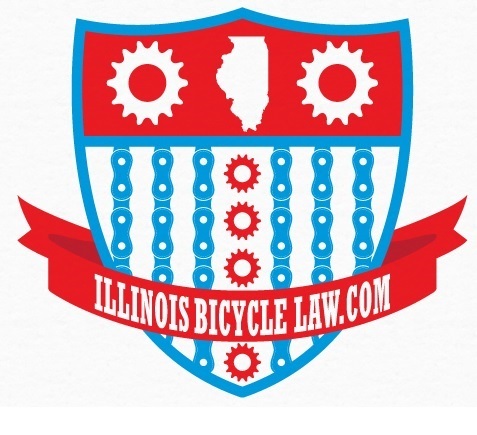 A recent settlement on behalf of an injured bicyclist by the Illinois Bicycle Lawyers at Keating Law Offices shows the critical importance of Uninsured Motorist Coverage in preventing this scenario from happening and adding "insult to injury" for an injured bicyclist. The attorneys were recently able to attain a six-figure settlement on behalf of a Chicago bicyclist who was seriously injured in a hit-and-run accident involving a motor vehicle in downtown Chicago. This settlement reflected the maximum amount of the applicable Uninsured Motorist insurance policy. This particular case reflects the importance of Uninsured Motorist Coverage. Last September, the bicyclist was struck from behind by a motor vehicle that was traveling eastbound on the same street as the bicyclist in Chicago. The impact caused the bicyclist to strike the pavement and land directly on his elbow. As a result, he suffered a compound fracture to his elbow that required immediate surgery on the very same day as the crash. Despite the bicyclist’s serious injuries, the motorist immediately fled the scene, never to be identified by authorities. Uninsured Motorist Coverage is insurance that can be purchased through an insurance company that protects a person even if the other person who caused the accident did not have insurance. Some estimates place the number of uninsured drivers in Illinois at one in five drivers. The exact number is difficult to track due to the fact that some drivers not only do not have insurance, but do not even have licenses. There is a similar and related type of insurance called Underinsured Motorist Coverage, which provides additional insurance coverage when the at-fault driver did not have enough insurance. Due to the fact that the driver in this case fled the scene, it was not difficult to determine that the motorist was "uninsured," simple logic dictates that there can be no insurance for an unknown individual. Fortunately, the bicyclist carried the Uninsured Motorist Coverage and a claim could be placed with that insurance company. It is important to note that even though the Uninsured Motorist claim is placed with the injured persons own insurance company, there is no guarantee that the insurance company will treat the injured individual any different than any other "claimant." Insurance companies make money by collecting more in premiums than they pay out in claims. "A claim is a claim" to many insurance companies and unfortunately there is a fight to obtain a fair resolution under the terms of the insurance policy. If you carry auto insurance, you can check the amount of Underinsured or Uninsured Motorist Coverage you carry by checking your "Declarations Page" if you have it, by checking an insurance account with online access, or simply calling your broker. If you do not carry auto insurance, you can always ask a friend or family member to add you as an "insured" under their policy for this purpose. 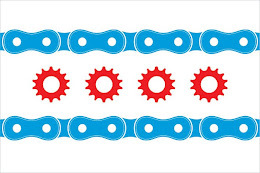 If you have any questions regarding this post or an issue involving Illinois personal injury law, please contact Illinois Bicycle Attorney Mike Keating at (312) 239-6787 (Office) or (312) 208-7702 (Nights or Weekends) or email at MKeating@KeatingLegal.com, 24 hours a day, 7 days a week. All e-mails and phone calls will be promptly returned, and all initial consultations are confidential and free.